For fifty-five years, Henry Morris’s Bird & Bull Press has printed fine press books, many of them devoted to to the art, craft, and history of printing and papermaking.The exhibition draws upon the University of Delaware Library’s extensive collection of books printed by Henry Morris and the vast collection of manuscript materials found in the Bird & Bull Press Archives at the University of Delaware Library. The Bird & Bull Press Archives contain a wealth of materials documenting Henry Morris’s printing career. The Archives include the manuscripts, typescripts, production files, printers’ dummies, and page proofs used in the production of many of his books, including several books whichMorris has self-selected as his personal favorite productions. 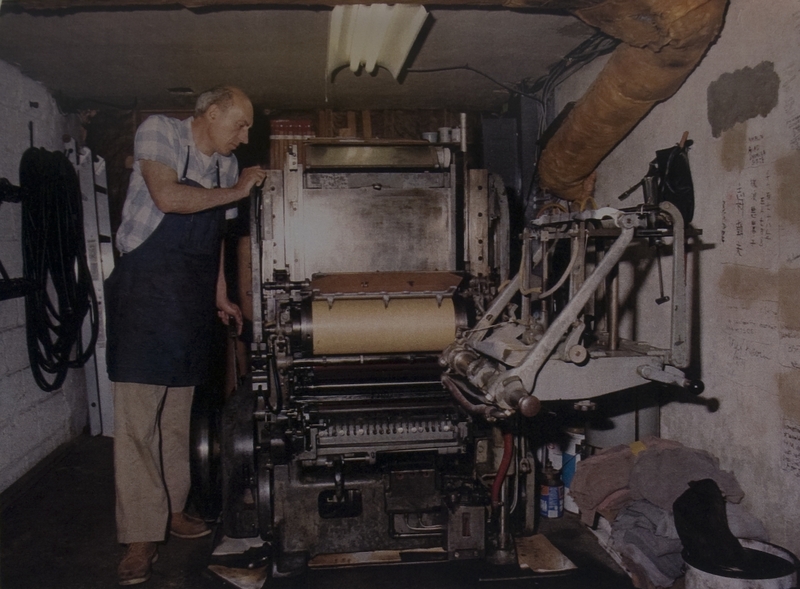 Also included in the Bird & Bull Press Archives are numerous printing artifacts, including metal engravings, wood cuts, paper samples and a paper mold. Additional items from Special Collections provide examples of some of the rare books which Morrisreprinted under his Bird & Bull Press imprint. Together, these materials allow one to view the production of Morris’ books in all their stages, from inception to finished form, throughout the entirety of his fifty-five year career.